Medical practices and clinics need access to sterile instruments at all times in order to examine and treat their patients. 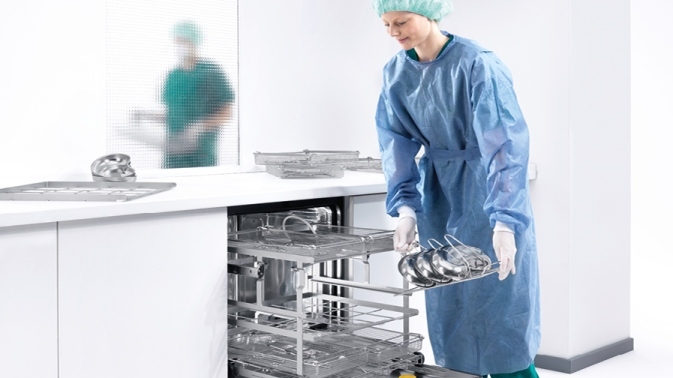 When processing their medical products, they rely on high-performance cleaning, disinfection and sterilisation technology from Miele. 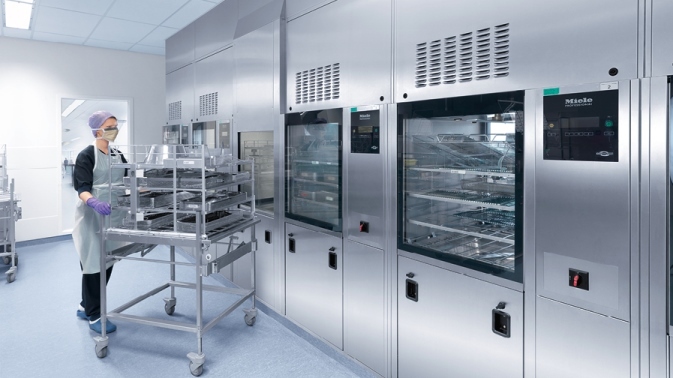 The automatic cleaning, disinfection and drying of instruments is superior to manual methods in all respects: it is faster and more convenient, and above all safer and more thorough – particularly in the case of special instruments with narrow lumens. As well as being economical to run Miele systems save huge quantities of resources such as water, electricity and process chemicals as well as time. The Miele range includes washer-disinfectors, container and trolley washers and sterilisers, as well as a wide range of accessories. Miele also offers various solutions for simple but reliable process data documentation, enabling standard-compliant instrument processing to be recorded in line with legal requirements.